What are the direct and indirect impacts of EFHIAs conducted on health sector plans? Does EFHIA improve the consideration of equity in the development and implementation of health sector plans? 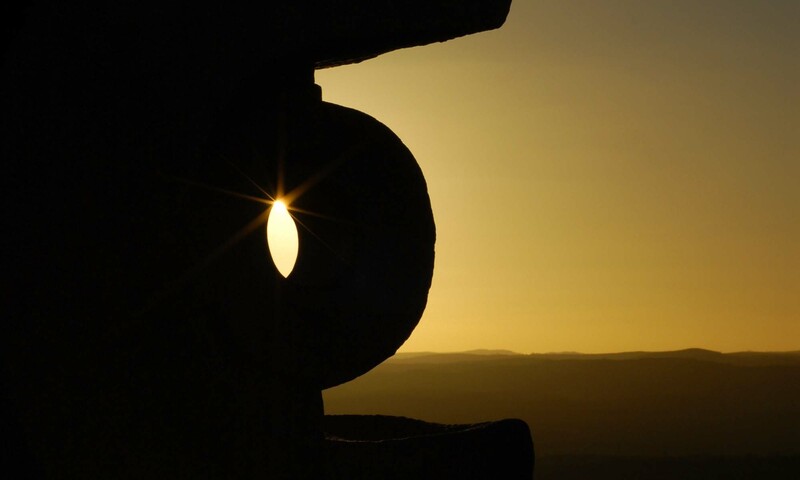 How does EFHIA improve the consideration of equity in health planning? 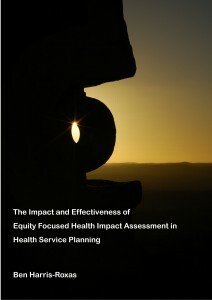 This ebook describes the use and evolution of health impact assessment (HIA) and EFHIA internationally and in Australia, how it has been used in relation to health service plans, examines its effectiveness and impacts on decision-making and implementation and examines several EFHIAs using case study and interpretive description methodologies. This research shows that EFHIA has the potential to have both direct and indirect impacts on health service planning. These impacts are influenced by a broad range of factors however. The case studies in this ebook show that engagement with the EFHIA process and the extent to which EFHIA is regarded as a broader learning process are important factors that mediate the extent to which EFHIAs influence subsequent activities. This research suggests that it is not possible to adequately describe the full range of impacts of EFHIA on decision-making and implementation without looking at perceptions about EFHIA’s effectiveness, in particular the perceptions of those involved in the EFHIA and those responsible for acting on its recommendations. These perceptions change over time, suggesting that future research on the effectiveness of HIA should look at the mechanisms by which this change occurs. The ebook makes two theoretical contributions in the form of (i) a typology for HIAs and (ii) a conceptual framework for evaluating the impact and effectiveness of HIAs. This conceptual framework is tested for its applicability and refined. The ebook and the accompanying publications were written to fulfil the requirements for a Doctor of Philosophy in Public Health at the University of New South Wales. 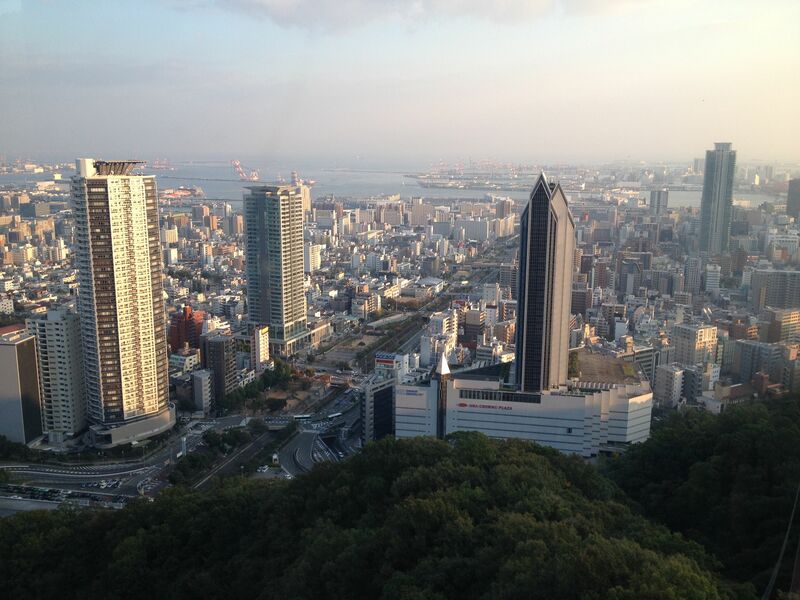 I’ve been invited to participate in a WHO Consultation on Urban HEART in Kobe. This is a post on Day 3 of the Consultation, there are also posts on Day 1 and Day 2. There was a widespread view that the current Urban HEART guidance works quite well but that there are a few areas where it might be enhanced. There was discussion about the selection of interventions and responses being difficult in practice, and that it involves considerable negotiation. There wasn’t agreement about the best ways to reflect this in the guidance but it was a recurrent theme, and one that’s familiar in the context of HIA and negotiating recommendations. Community participation is another aspect of Urban HEART that has been difficult to provide guidance on. Participatory rapid assessments, health assemblies, surveys, workshops, and the use of mobile and electronic engagement tools were all discussed as ways to involve communities in Urban HEART processes, though these were all recognised as having limitations. There was quite a lot of discussion about the extent to which HIA might be integrated into Urban HEART, though it was agreed that Urban HEART and HIA are complementary rather than being processes that could be integrated. This is because Urban HEART helps to identify needs and areas for action at the city level, whereas HIA is most useful where there is a proposal or a limited set of options to assess. So whilst there are procedural similarities they serve quite different purposes and integrating them might complicate things rather than helping. 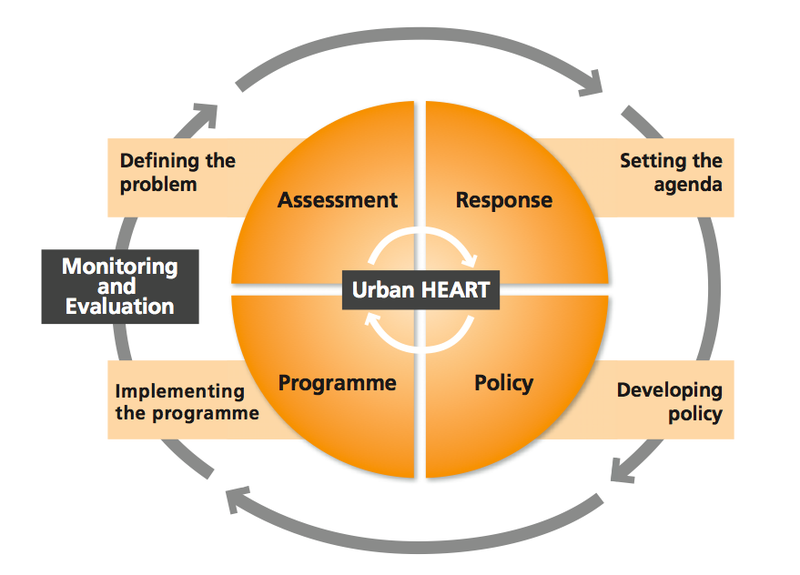 The diagram below from the Urban HEART User Guide shows how WHO conceptualises Urban HEART’s role in local planning cycles. Some related procedures like multi-criteria decision analysis and equity lenses were also discussed, and how they might be integrated into Urban HEART. An important issue that was discussed was that we need to focus on enhancing the equity focus of Urban HEART rather than simply improving the technical aspects of the process. The value of Urban HEART is its equity focus rather than its health focus, and we need to prioritise that in any revisions. This is something I hadn’t really considered before and I think it poses a challenge to the HIA practitioners: beware focusing on improving technical aspects of the assessment process at the expense of an equity focus. Technically perfect assessments won’t necessarily result in inequities being better addressed. The need to demonstrate economic effectiveness/cost-benefit was also discussed. This is familiar territory for HIA practitioners! I confess that I have mixed feelings about this. Whilst I can see that there are benefits to even limited economic approaches to describing the economic benefits of HIA or Urban HEART (willingness to pay analyses, estimated savings based on case studies, etc), ultimately Urban HEART and HIA are about informing and improving planning and decision-making. They’re not readily comparable to other health interventions because they’re fundamentally different types of interventions. The need for an online guide, repository and clearinghouse for evidence was discussed. We’re very fortunate in HIA to have the HIA Gateway. The consensus was that something similar is required for Urban HEART. Madeleine Ntetani-Nkoussou discussed the use of Urban HEART in Brazzaville, Congo. There’s a number of issues in Brazzaville associated with informal settlement/slums and rapid urbanisation. The physical and service infrastructure has struggled to keep pace. Potable water access and access to water sealed toilets remain big issues, as is food security. urban HEART helped the city identify the four arrondissement that required greater activity, in particular around the provision of health services and prevention activities. One issue that was raised is whether there a need or mechanism to involve state and national governments in Urban HEART? Though this approach would have relevance to them, a big part of the appeal of Urban HEART is the clarity of the indicators and its applicability at the city level. 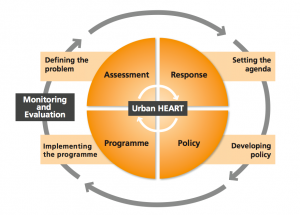 The distinction between Urban HEART as an indicator/diagnostic tool and a framework to guide implementation came up a few times. It’s intended to be both, but there’s a tension, which most HIA practitioners would have encountered as well. These issues are all eerily familiar to people who’ve worked on HIA! It was an excellent Consultation with lots of food for thought that also highlighted how well-designed Urban HEART is and how much work has gone into its development. I plan to do another post in a few days that brings together some of the critical points and what the implications might be for HIA.